Tips For Your Search For Bigfoot - Sasquatch Canada contains current and authoritative information on sasquatch and other homins. Meet the requirements to go where few others wish to tread. Be capable of taking photographs. Before you set out, it pays to find a location that has already had multiple sightings. Pay attention to the times, dates, and weather from these sightings to determine the best time to hold your search. Consider whether this is a location that you're happy to head off to and spend time exploring. Assemble the right equipment. Most likely you're going back country, so you'll need all the gear required for back country hiking or skiing, depending on the time of year you're searching. Have adequate warm clothing and layered clothing. Wear sturdy shoes and protect yourself against the elements by covering up adequately with clothes, hats, sunscreen, etc. Avoid wearing anything scented, as this might attract wild animals. Bring insect repellent if you are searching in spring, summer, or early fall. Insect bites are distracting, and could cause an allergic reaction. Take adequate sustenance in the form of food and drink to maintain your energy and ensure adequate hydration. Ensure that you have somewhere to sleep, whether it's a cabin, a tent, or the local motel. If camping or staying in cabins, take all your camping gear, cooking gear, etc. Have first aid equipment, communications gear, compass or GPS navigation equipment. Any suitable items to protect yourself from wild animals such as bear canisters, bear spray, etc., as you're more likely to encounter them than anything unusual. Take flashlights and headlamps. Bigfoot is said to be nocturnal and to have excellent night vision. In addition, you may like to consider bringing some type of spotlight in case you need to shine it at Bigfoot to confuse him and scare him off. Have at least one decent camera; you might like to consider a small camera and a larger camera, and maybe a video camera, depending on how convenient these items are. All should be of excellent quality, with telephoto capacity and fast shutter speeds. The quieter that they operate, the better. If you're searching at night, be sure the camera can manage night photography. Set up a location where you hope to have a Bigfoot sighting. This may include setting up a camera, or gifting station. If you plan to stay there and catch a glimpse in person, consider setting up a base camp. Taller than a human ranging between 6–10 feet (2–3 m) tall, covered in hair from head to toe. The hair ranges from black or dark brown, to gray or reddish. Weighs a lot, anything in excess of 500 pounds (230 kg) (enough to hurtle heavy things at you if provoked). Large eyes, pronounced brow ridge, and a large, low-set forehead. Signs to watch for include very large footprints (up to 24" (60cm) long and 8" (20cm) wide), hair caught on bushes, excrement, and a sleeping nest. Make notes about your location, preferably a video record, showing how it looked prior to your wait. Read more about Bigfoot sightings and lore. 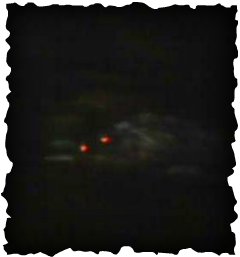 Write your own theories about Bigfoot down, perhaps to be published later as a blog post, website, or journal article. Know what to do if you do see Bigfoot. Try to remain unseen; this is the best possible position for an observer. However, it is thought that Bigfoot has an excellent sense of smell and will probably figure out you're about. Remember to use your camera to record the sighting either by way of photos or film. Make as little noise as possible. Know how to respond if Bigfoot sees you. Treat Bigfoot with the respect ! Avert your gaze. Meeting the gaze may be misinterpreted as a challenge for territory or a fight. Use your peripheral vision to monitor its movements. Keep quiet and move slowly, without any sudden gesticulations. Restrain your dog if you brought one. Make yourself appear as non-threatening as possible. Without turning your back to Bigfoot, sit down. Then make out like you're grooming or eating something. Don't run. Bigfoot is thought to be able to run faster than humans. Consider reporting the incident to local park ranger, conservation officer, or a reputable Bigfoot research group in the area. Preserve the area as if it was a crime scene, to avoid losing or contaminating any evidence. Collect all physical evidence, such as hair, blood, feces. Just remember that your chances of coming up on a Bigfoot are very rare, and would probably happen by accident, a mistake on the Bigfoot's part. They are extremely adept in their environment and will always know that you are in the area long before you ever get a hint that the Bigfoot are around. Chances are that you won't find Bigfoot - Bigfoot will find you! 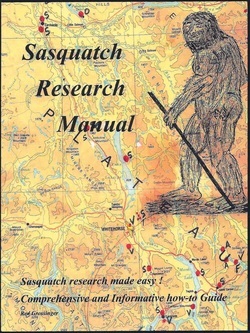 Sasquatch research made easy, comprehensive and informative how to guide.